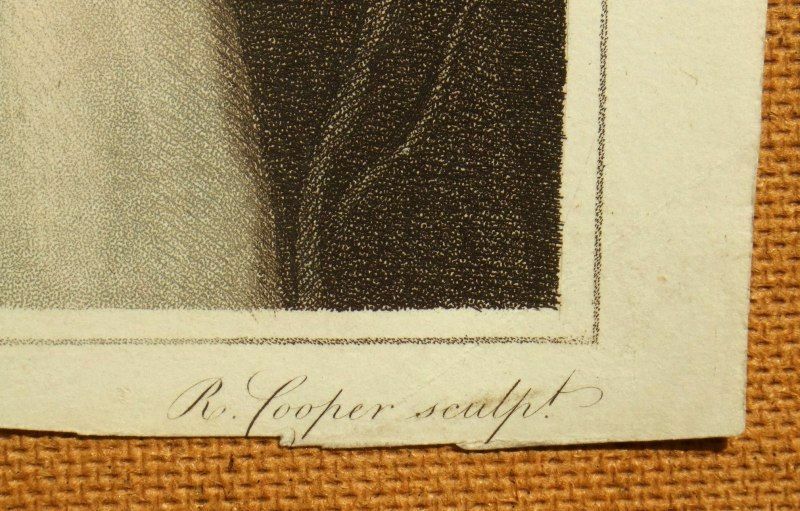 Robert Cooper, flourished; 1795-1836, printmaker and engraver. 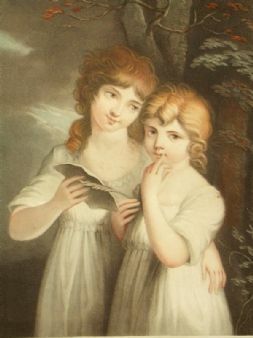 Although a prolific portrait engraver over a number of decades, little is known of Robert Cooper, his first recorded work as an engraver was for the Biographical Magazine in 1795 and his last recorded engraving dates from 1826, but, according to Samuel Redgrave, he was still living in 1836. Gaetano Testolini (active 1760-1822) engraver, printseller and supplier of artists' materials. 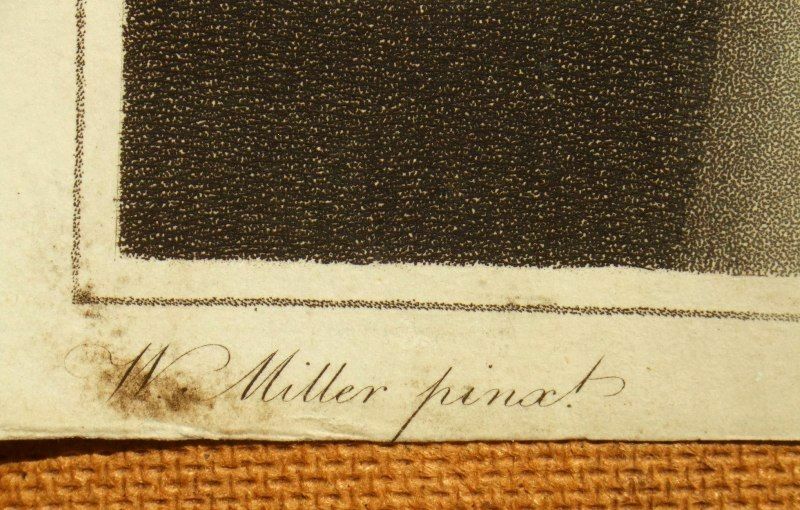 He worked in Paris from around 1760 to sometime after 1785, when he arrived in London. He worked with Luigi Schiavonetti around 1793 as Schiavonetti and Testolini, and under his own name from 1796 to 1822. William Miller; circa, 1740-1810, British history and portrait painter who also produced mythological, landscape and genre subjects. 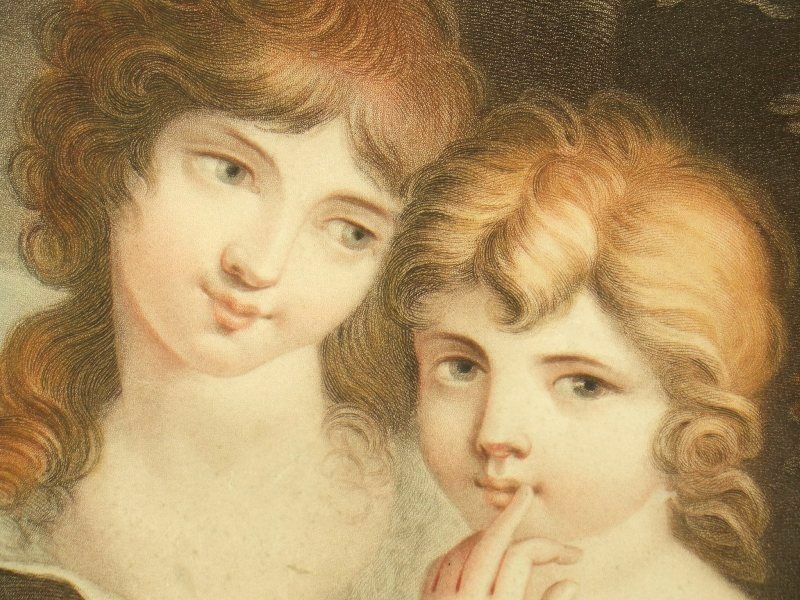 He worked on John Boydell’s Shakespeare Gallery and many of his paintings were also engraved. 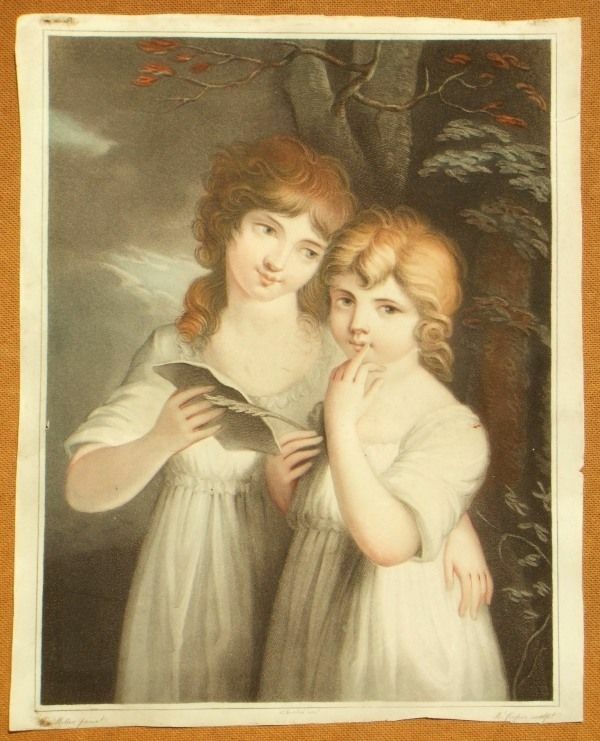 Unframed and unmounted, the condition of the image and sheet is fair with a worm hole and handling marks condusive with age.